The boning knife’s purpose is described in its name. Boning knives have the ability to portion, part and remove bones in cuts of meat. 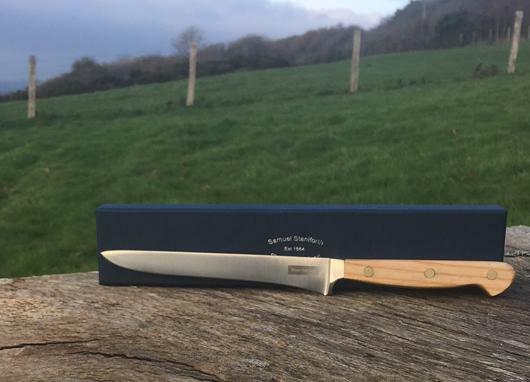 Knife blade is fully forged from a single billet of the finest stainless steel then hand finished to achieve the sharpest cutting edge and features the River Cottage logo. Knives are manufactured to meet the demands of the professional chef, in which handling, balance and durability are paramount.